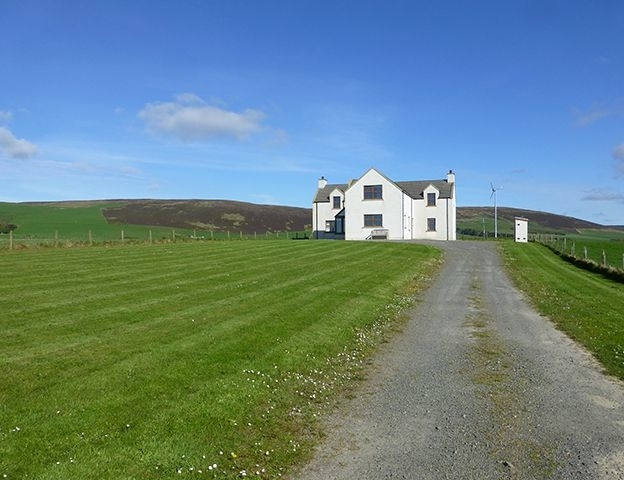 Buan House is situated in the parish of Firth and enjoys panoramic views over the Bay of Firth towards Finstown and Kirkwall. Visit our website to check availability. 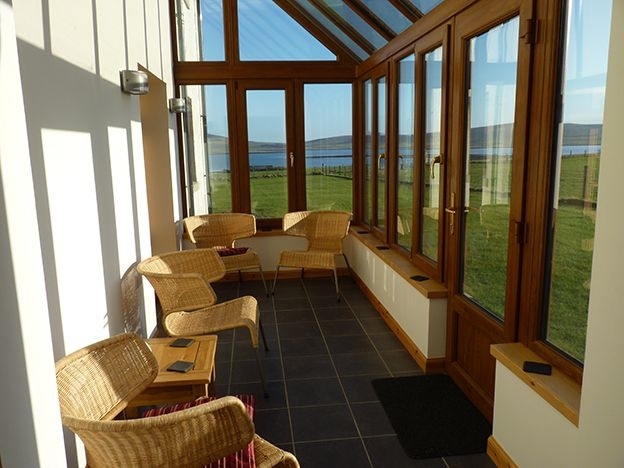 Buan House is situated 8 miles from both Kirkwall and Stromness and this central location ensures easy access to all the main sites of interest whether you are interested in archaeology or bird watching. 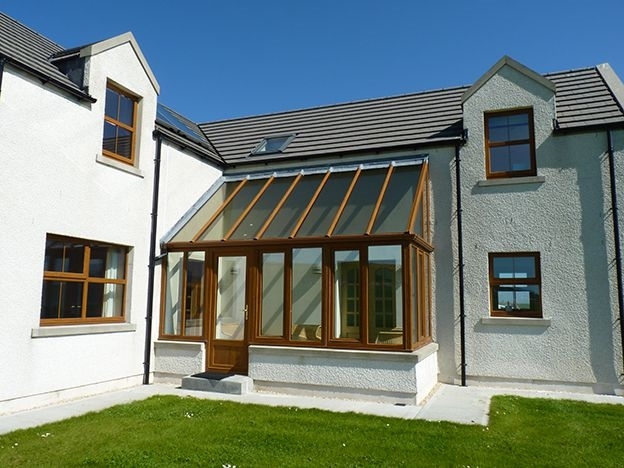 Although this extremely spacious four bedroom house (over 200m2) is finished to a luxurious standard it is built in a traditional style but with modern technology - the heating is provided by a ground source heat pump and the water is heated by solar panels. Designed to sleep up to 8 people. 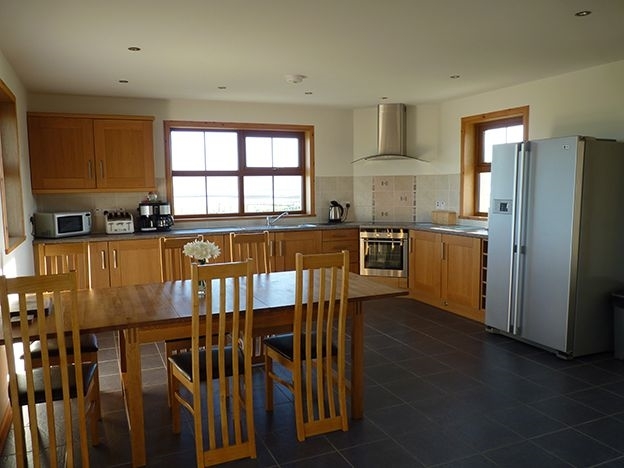 4 bedrooms, two doubles with king size beds (both en-suite), two twins, family bathroom. 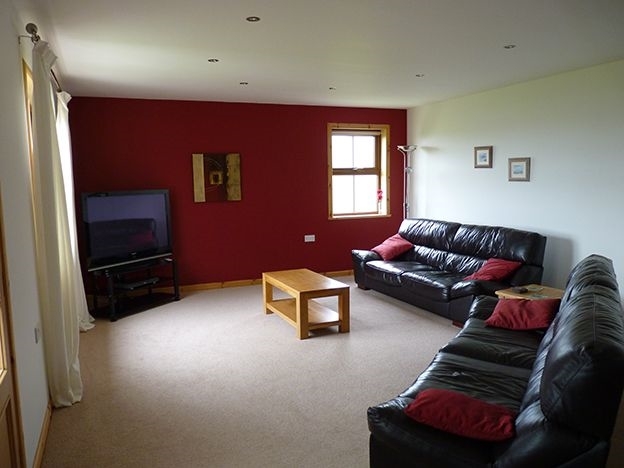 Large lounge with two luxurious leather 4-seater sofas, 50" wide-screen TV with built-in Freeview and a DVD player, selection of books, games and DVDs. Conservatory facing the evening sun. 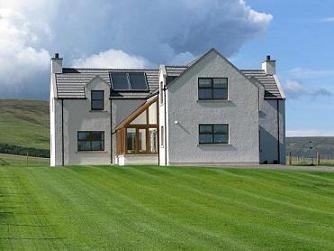 The ground source heat pump ensures that the house is always warm. With families in mind, a high chair and travel cot are provided at Buan House. Enjoy the use of a large garden area to the front of the house – and plenty of parking space for your cars. As Buan House is situated in farmland, pets are unfortunately not allowed. 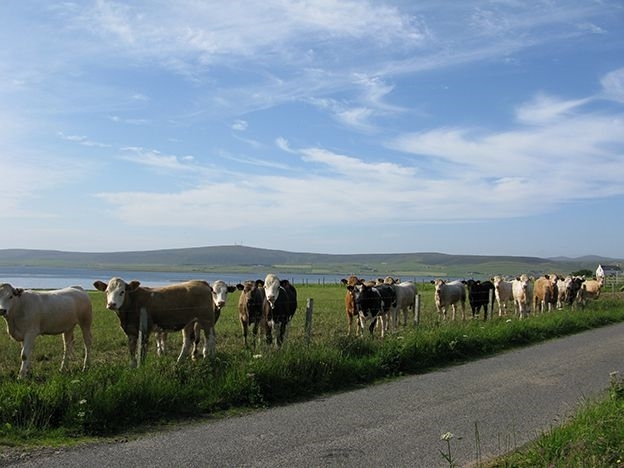 We are a working farm raising prime Orkney beef cattle. You will see them in the fields all around the house and as they are friendly creatures they will probably come to have a look at you as well. Orkney's capital Kirkwall, is a short drive away where you can visit Earls & Bishops Palaces Kirkwall , St Magnus Cathedral (St Magnus Cathedral tour times ), Orkney Museum, Highland Park Distillery and Scapa Distillery , to name a few of the attractions in town. 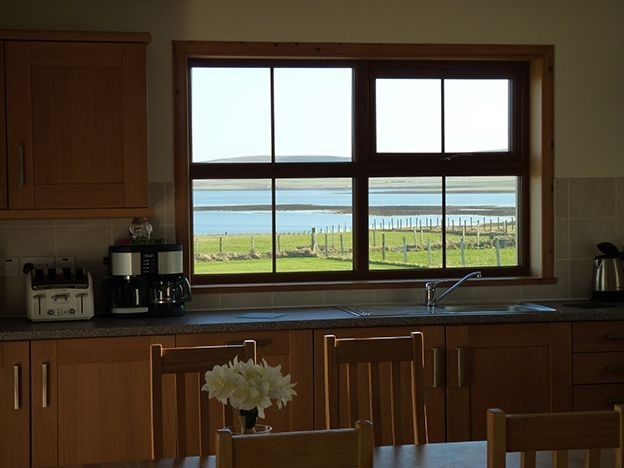 There are many eateries, pubs, cafes also in Kirkwall, you can find out more here ​. If the weather isn't too kind, the The Pickaquoy Centre offers excellent indoor facilities such as a swimming pool, cinema, various exercise classes and kids entertainment. 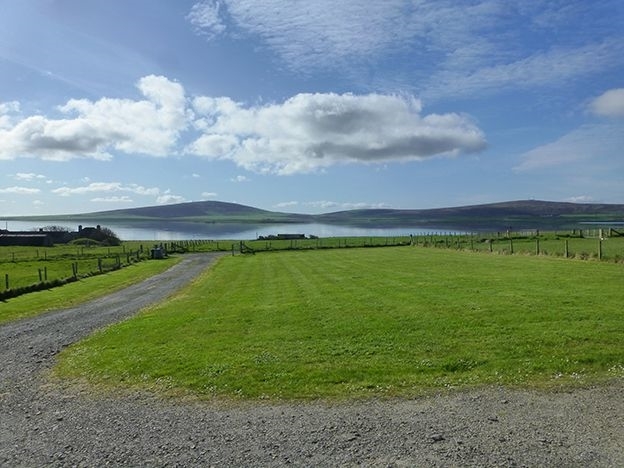 The heart of Neolithic Orkney is also not far from Buan House, heading to the West Mainland where you can visit Skara Brae, Maeshowe, Ring of Brodgar and Standing Stones of Stenness . A further drive of approx 15 mins will take you to the Brough of Birsay , Broch of Gurness and Earls Palace Birsay. Take time out from the sites and take a stroll through the cobbled streets of Stromness, visit the Pier Arts Centre , Stromness Museum or Ness Battery . Find out more about Stromness on this link​​​​​​. For craft enthusiasts, why not follow the Craft Trail ​​​​​​and for nature lovers please visit RSPB Orkney facebook page for more information or visit the Map of Orkney RSPB Reserves . If you are keen on golf, there are three 18 hole courses on the mainland, Stromness Golf Club, Kirkwall Golf Club andSouth Ronaldsay Golf Club ​​​​​​.